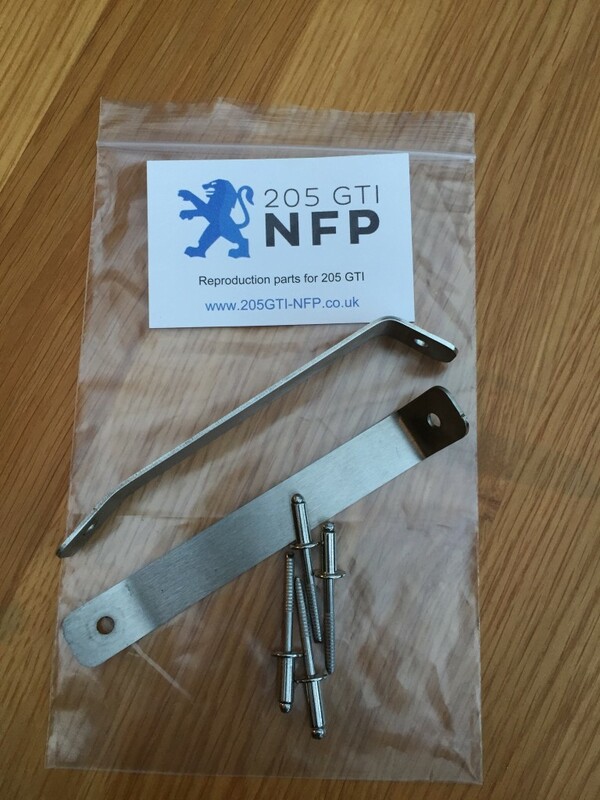 Newly available from 205GTI-NFP are these reproduction support stays for the rear bumper valance. Often the original items are badly corroded or are missing due to the aluminium rivet used by Peugeot corroding. These go between the rear panel and the lower edge of the rear valance to support the plastic rear valance. Laser cut in stainless steel and then folded in house, they are supplied with 4 off 5mm stainless steel rivets so you have the hardware to complete the job. You will need a 5mm drill bit and a good quality pop rivet gun to fit these to your 205. Priced at £10.50 per pair including post within the UK.